Do you shop online? There are at least a couple of ways your church can benefit from online shopping that you might already be doing. If you shop on Amazon, you can specifically shop through Amazon Smiles and designate our church to receive 0.5% of you total purchase price. It is free to sign up. You must shop through the link for UMCmarket. Percentage varies. 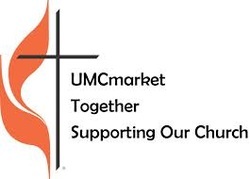 The individual stores donate through this church-approved site to any UMC of your choice (or to the Wesley Foundation) through the "market" website. Our church will receive a check each time the total accumulated reaches more than $100. This is approved by the General Council or Finance and Administration of the United Methodist Church. You can invite friends to shop through the link as well.